In a recent post I mentioned that there has been criticism of the scope of the EU Aarhus Regulation inserting provisions about transparency, public participation and access to justice into EU processes themselves. It struck me just how confusing the whole area of EU challenges to EU measures is, so I thought I would summarise it as best I can in this and a following post. Here goes; the going may get a bit bumpy, but it is important stuff. I hope also to give some EU context to the debate about whether something is or is not a legislative act under Aarhus which I trailed in that post. The EU signed up to the Aarhus Convention on environmental matters, as have all the member states. And the EU has made member states implement Aarhus-compliant procedures in major areas such as environmental impact assessment and industrial emissions, via the 2003 Public Participation Directive. The EU also requires member states to introduce a wide-ranging right to environmental information, transposed in the UK via the Environmental Information Regulations. The European Court has also chipped in with its own Aarhus gloss in the Slovakian Bear case; whenever a member state is considering some provision of EU environmental law, it must interpret that provision, if possible, so that it complies with Aarhus standards of public participation, even though those standards may be in the parts of the Aarhus Convention which have not received their own direct transposition into EU, let alone domestic, law. So that is how the EU tells member states what to comply with Aarhus, applicable to environmental matters. But how does the EU legislate for the EU, or who guards the guards, as the Romans used to say? This is via a combination of the Treaty provisions (Art.263 TFEU) enabling certain parties to review the legality of acts by the EU institutions, which I consider in this post, and the specific provisions found in the EU Aarhus Regulation providing for access to information, justice, and public participation, to which I shall return in another post. But note that the guards ask other guards to guard themselves; only the EU European Court can determine whether a primary European measure is unlawful under the Treaty, or can decide whether an EU institution is in breach of the EU Aarhus Regulation. One would not want to trust it to those pesky domestic courts, would one? Any natural or legal person may, under the conditions laid down in the first and second paragraphs, institute proceedings against an act addressed to that person or which is of direct and individual concern to them, and against a regulatory act which is of direct concern to them and does not entail implementing measures. with the Lisbon Treaty wording in italics. (ii) a challenge to a regulatory act, which is of direct (not necessarily individual) concern but does not require implementing measures – as we can see, this bit was added by the Lisbon treaty. In each of (i) and (ii) the act must be of “direct” concern. And this means that the act directly affects the legal situation of the applicant, and leaves no discretion to those who have to implement the act. If discretion is allowed, then you have to look if you can challenge the institution exercising that discretion. Then to “individual” concern, required in (i), so for all acts apart from regulatory acts. This is a very narrow criterion. In the leading 1960s case, Plaumann, a clementine importer wanted to challenge a decision about duties on clementine importation; not of individual concern, said the ECJ, because all clementine importers were similarly affected; the measure had to have something more peculiarly applicable to this clementine importer to qualify as of individual concern. This has not gone unchallenged over the years, not least because groups of affected persons argued that this incredibly narrow test denied them effective judicial protection, which is of course one of the general principles of EU law. An association of olive farmers got quite close to success, when they persuaded a UK Advocate-General in 2002 to rephrase the test as one in which it needed to be shown that the measure has or is likely to have a “substantial adverse effect” on the applicant’s interests, but the ECJ did not agree: Union de Pequenos Agricultores. The underlying response is that it is a matter for domestic courts to refer well-grounded legal challenges to the European Court under Article 267, rather than for them to bring cases directly against the measure in the European Court – it might be thought this is a rather long way round, and one in which different rules of standing in the domestic courts (much tougher in Germany, now pretty relaxed in the UK) will determine which cases get through to Luxembourg. At the head of this post, I promised some Inuit, and here they come. In Inuit Tapiriit Kanatami, decided by the General Court, in September 2011, various traders in seal products (many based in Qikiqtarjuag – in Canada, as you will know) sought to annul an EU Regulation concerning their trade. By the time they applied to do so, the Lisbon Treaty was in force. Two main issues arose under the italicised words in Article 263(4): was the Regulation a “regulatory” act, and were the various seal product producers “directly concerned”? The Court held that the Regulation in issue was a legislative Act, and that a distinction should be drawn between legislative acts, expressly included in the first part of the definition, and regulatory acts, governed by the second part. A (primary) Regulation is not a regulatory act, a delegated or implementing Regulation will be. A regulatory act is a measure of general application which is not a legislative act and does not require an implementing measure. But fortunately, we are told that a regulatory act is any act of general application apart from legislative acts. So a regulatory act is essentially defined by what it isn’t: the General Court’s stab at definition that a regulatory act is one that “aims to lay down the applicable rules in general” hardly helps things along. The upshot was that the Inuit could not challenge the Regulation under the second part of Article 263(4), because it was not a regulatory act. References to broad principles derived from the Aarhus Convention and the Convention on Biological Diversity did not persuade – the latter submission a tad ironic given that the trade relies on the killing of seals. Consequently, it must be held that the contested regulation affects only the legal situation of the applicants who are active in the placing on the market of the European Union of seal products and affected by the general prohibition of the placing on the market of those products. 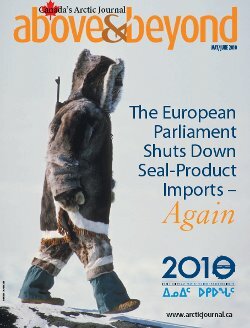 By contrast, that is not the case for the applicants whose business activity is not the placing on the market of those products and/or those who are covered by the exception provided for by the contested regulation since, in principle, the placing on the market of the European Union of seal products which result from hunts traditionally conducted by Inuit and other indigenous communities and contribute to their subsistence continues to be permitted. Having rejected the claim under the second limb of Article 263(4), the Court went on, unsurprisingly, to conclude that none of the applicants were “individually concerned” for the purposes of the Plaumann test under the first limb, and therefore the challenge failed – to date. The applicants are appealing to the CJEU. After the General Court explained the meaning of ‘regulatory act’ in the Inuit Tapiriit Kanatami case, it had another go, in October 2011, at addressing “regulatory act”, as well as defining the lack of ‘implementing measures’ in the case of Microban. Shift of register, from seal products to anti-microbial agents, but it is another banned product case. Accordingly, the contested decision was adopted by the Commission in the exercise of implementing powers and not in the exercise of legislative powers. Moreover, the contested decision is of general application in that it applies to objectively determined situations and it produces legal effects with respect to categories of persons envisaged in general and in the abstract. However, the measure still needed to satisfy the test in the last words in Article 263(4), by not entailing implementing measures. The Court said it did not fall foul of these words, because the Commission decision immediately prohibited the marketing of triclosan; although there was a possibility of a transitional period allowing an extension, these measures were optional and ancillary to the main purpose of the decision, namely the prohibition, which needed no implementing measures. So the Court ruled the application admissible under the new Lisbon wording – it was of direct concern, was a regulatory act (in the form of a Commission Decision), and did not involve implementing measures. It went on to annul the Decision. The pre-Lisbon wording is still very narrow indeed, and it is very difficult for a challenger to show that it is individually concerned by an EU measure such that it can claim annulment. The additional Lisbon wording still disables challenges to legislative acts such as directives or regulations without such individual concern. But an implementing measure brought in by the Commission pursuant to some existing measure, does fall within a regulatory act; an applicant then needs only “direct concern” of the kind which would have allowed some of the seal product marketers to bring a challenge.